Who was Crane Eater and why does his life matter? Crane Eater was a full blood Cherokee and he was born in the old Cherokee Nation East. He served in the War of 1812 with a Cherokee regiment and did battle with Andrew Jackson against the Creeks. He was active in Cherokee politics and in 1835, he was living on the Coosawattee River in Georgia. He wasn't a rich man. Just a man of humble means living in his small home with 10 others in his full blood family. Though he, along with nearly 16,000 others, signed a petition to remain in the east, his beloved homeland, he and the others were forced out; rounded up, arrested by the military and taken to the dreaded, horrific stockades where the Cherokees were held for months. He, like the other Cherokees, left on the now infamous Trail of Tears. He traveled through Tennessee, Kentucky, Illinois, and Missouri before finally reaching the Indian Territory. The weather and cold was nearly unbearable. The detachment he traveled with, just like those ahead of them and behind them, was forced to stop due to the frozen Ohio and Mississippi Rivers. People were suffering all around him. Everyone was sick. Many died. Finally, in the early spring of 1839, he reached the Indian Territory. He settled on the Caney in Flint District with the surviving members of his family. Later, in 1842, he filed a claim against the United States government for the property he was forced to leave behind in the old nation. He was forced to abandon nearly everything he owned and never had a chance to retrieve it or sell it. Though under less than desirable circumstances, he did rebuild his life. That life, the life of Crane Eater, matters because he is just one of many Cherokees from the old days whose lives are now being investigated. Sometimes their lives are studied by Cherokees but many times, their lives and history are studied by other people. Often those other people study our ancestors because they believe they, the other people, are Cherokee. Too many times, those other people are wrong. Today, in the year 2012, one hundred and seventy four years after the Trail of Tears, there are a lot of rumors about Crane Eater that are not true. There is a white family who claims to have come from him. He did not know them and he never knew any of their people, yet they say he was the father of one of them. This is not true. He never knew the man they claim was his son. He was not married to the woman they claim was his wife. I imagine he would not like it that they try to give him children and a wife that were not his. I doubt he could ever understand why they do it. He had his own family. I believe he probably loved his family. This is why the story of his life matters. Crane Eater was a full blood Cherokee man who had a family. For a white family to claim he was their ancestor and that his children were their ancestor's children is an outrage. By doing this, they are trying to erase the real Crane Eater and his family from history and replace them with James Keith, a white man, and his family. This is unacceptable and it is very disrespectful. Crane Eater deserves better than that. He stayed with his nation, through thick and thin, helping, as an average Cherokee citizen, to build it into what it is today. He never abandoned his nation or his people. He was one of those who signed the petition to try to keep their homeland. He was one those who was forcibly rounded up and removed. And he was one of those who survived to start over. It is important that people know the truth about Crane Eater and his life. If he is to be remembered, then he would want to be remembered for who he really was. To remember him any other way is a shame and dishonor to both him and the Cherokee people. Where is your documentation as to how you know Crane Eater settled on the Caney in the Flint District? I have read all the rolls and ECA's and it does not say anywhere on the Drennon Rolls that he lived there. You have no proof and you have not done the research you just are speculating and the truth you want to believe not the actual truth. I am a researcher and have studied Crane Eater since the 1970's and in all your posts you never mention where you got your information and you do not have any proof what so ever that Crane Eater and James Keith are one in the same or two separate people. You blow a lot of smoke but you never document for others to see what you see. Why should we believe YOU??? Until you can show documentation in your posts as to where you obtain your information I don't think other people who have any intelligence should believe you. I don't know anyone who wants to be Cherokee or nor it's not to say someone is a wannabe as you call them, no one can help or change where they came from. Just because someone claims to be part Cherokee, a descendant of Cherokees what difference does it make and what does it matter to you? You do not own the Cherokee Nation and for that matter, I think it is an honor to say you are of Native American Heritage. You don't have to register because you are a descendant of someone who was Cherokee or for that matter any form of Native American. If you had been researching Crane Eater that long, then you should know he filed a claim in 1842 for his property he had to abandon in the east. Check out the 1842 Cherokee claims for Flint District. You will find his claim and in that claim, he says he is living on the Caney. I have more than enough documentation to back up what I say about Crane Eater. 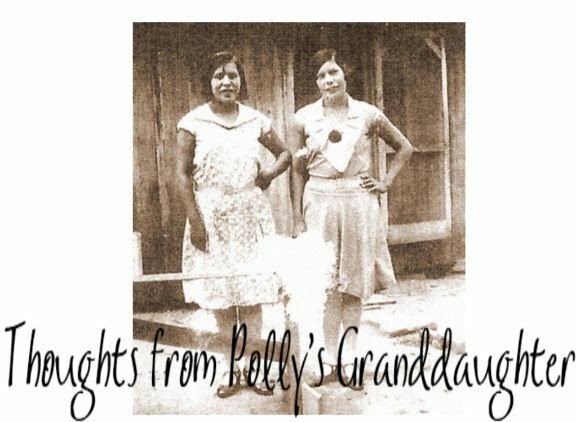 Because of the situation with the Keith descendants, Crane Eater has been researched by a group of VERY good and knowledgeable Cherokee researchers. It is clear Crane Eater and James Keith were not the same person. Show us your proof that he is not the same person as Crane Eater! Yes, I know about the 1842 claim.. Who are your VERY good and knowledgeable Cherokee researchers? Why don't say who they are??? How do you know I am not a Keith descendant? YOU don't! How do YOU know I am not a descendant of Crane Eater? YOU don't!!!! Show us your proof/records/documents that Crane Eater and James Keith are the same person or two separate people. Show us!!!! James Keith died in 1839 (per his widow's testimony) and Crane Eater was alive in 1842 (per his 1842 claim.) Why don't you explain to me why you believe they were the same man? It is physically impossible for a man to be dead and living at the same time. There are plenty of documents posted to this blog and those not posted will come out at a later date. This blog is my rodeo, not yours and let me tell you, it is not my first rodeo. I know what I am doing when it comes to research and I am not mistaken here. I have no motive other than to show the truth. Where did I say you were not a Keith descendant? I said if you had been researching for 30 years, you would know about the claim. And if you know about the claim, then you know Crane Eater lived on the Caney because it says so in that claim. So you knew about the claim, then why didn't you know where he lived when he made that claim? Maybe the research you did in the last 30 years was not as thorough and complete as the research me and my team of researchers have done in the last year. We knew. Why didn't you? One thing I have learned in the last year is some people will NEVER accept the truth even when it is laid right out in front of them. Like I said, there is more than enough evidence to show Crane Eater and James Keith were NOT the same man in this blog. James Keith never lived on Cherokee land until AFTER the Cherokees were forced out. If you don't accept what is already posted to this blog, then no one will ever be able to convince you to accept the truth. The choice is yours. I never said I did not know about the claim . For your information it does not say in that claim that he lived there. The pension claim you refer to is false information. There was more than one filed, I have copies of both. And further more I still research, I never said I stopped. You don't know good grammar either. "Me and my team" It is my team and I. Your team! huh!!! That's funny. lol You think you are so smart and frankly I am tired of you badgering people. I also never said that I believed one way or the other. You just like to argue to make people think you are right. It doesn't matter whether you are right or wrong, everyone is entitled to their opinion but you don't except that. ... Why is it that you keep on going on and on about this? Can't you find something else to talk about other than putting down the Keith's and their descendants? I am tired of hearing about it. There's more to genealogy than Crane Eater. This is not my first rodeo either!!! Go stew on that for a while!!! First, this is not a grammar blog, but instead, a genealogy blog. That leads us to the fact that opinions don't matter. In genealogy, only the truth does. And I didn't start this. You did. No one forced you to come here and comment. If you don't like what I write, don't read it. There is a lot more in this blog than just the Keith/Crane Eater fiasco. John Vann has been the most recent topic of discussion. You thinking only Crane Eater is discussed shows you are not a regular reader nor one with a genuine concern. You are just a Johnny Come Lately who is trying to stir the pot after the rest of us have moved on to other things. No doubt, you are just trying to start something because you hide behind a private profile. When you can prove I am wrong, come back. Until then, you will be ignored since you have nothing productive to contribute to the discussion of Crane Eater or truth in Cherokee genealogy. And, the reason the names of my fellow researchers is being withheld is for their protection. In the last year, I have been lied about, attacked and called all sorts of bad things for telling the truth about Crane Eater. There is no way I would ever put other people through the same thing. Like I said above, when the time is right, their names will be revealed because they will be given credit for their contributions to this massive amount of research we have done on Crane Eater. And I promise you, they are top of the line Cherokee researchers. Protection from what!!! People with their own opinions? You don't like what people say and no one included you to begin with. Everyone has their right speak freely and you post about it. You also bad mouthed other people yourself so don't give me that crap. You said some pretty terrible things about some people and things you should have never said. You did put some people through worse. So you are so important but you can't seem to back up anything you say. You are so full of it. Not worth the time wasted on a sorry person like you who is in my opinion a nobody!!! Don't bother to respond because I said my piece and I won't be back. I do not need to be convinced either way, just wanted you to know a lot of people are very aware of you and your behavior and I have been following this for over a year now and just wanted to speak my piece and that's it......... so long, see ya wouldn't want to be ya!!!! I am also getting tired of proving I am not a robot. See if you can figure that one out, you are so smart!!! I was going to ignore you, but changed my mind when I read your latest comment. Thanks for proving my point about the things I put up with from people who don't like the fact I can actually do genealogy and that I am not afraid to tell the truth. Twila, anyone who knows you, KNOWS who your fellow researchers are. They also know that your fellow CHEROKEE researchers have verified and agree with your substantial research. 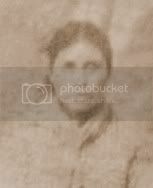 Twila, you are a very talented researcher, genealogist and friend to all who care to learn who their REAL ancestors are. Don't let this biased fool attempt to taint Crane Eaters legacy. BRAVO! Having a little temper-tantrum there, eh "wildflowers?" Your childish remarks prove - as Jack Nicholson so aptly put it - "You can't handle the truth!" You are turning a blind eye to the facts in this case and just want to lash out at someone who has the gall to prove James Keith was not Crane Eater. Hi...I've just found this site. I am not a Crane Eater descendant nor do I know for a fact that I am a Cherokee descendant. My family is from the Calhoun/Gordon County/Murray County area. My grandmother is from the same area, born in Arkansas and lived/died in Oklahoma. She always referred to herself as Black Dutch when I asked her if she was of American Indian descent. I finally found some information about it....the Cherokee who hid among the whites and stayed in the east referred to themselves as Black Dutch. Do you know anything about this term? I have family who were probably American Indian and family who took their land in the land lottery. It is a terribly sad part of our history.